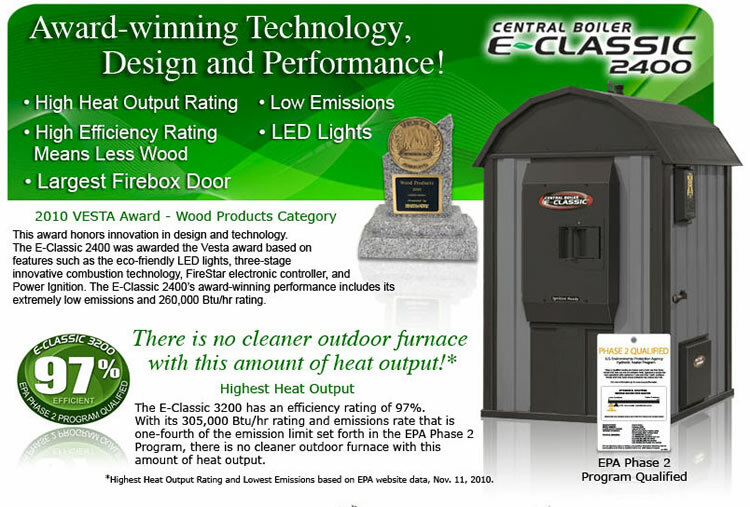 On May 9, the EPA sent letters to manufacturers of outdoor boilers (also called outdoor hydronic heaters) requesting that they remove efficiency information for EPA qualified models tested with EPA’s previous Method 28 OWHH from websites and all printed materials. The EPA sent them new hangtags without efficiencies to replace the old ones. The letters, signed by Gregory Green, Director of the Outreach and Education Division, asked that this be done by June 14, giving companies about 7 weeks to comply. The companies are also asked to inform their retailers to discontinue use of the old hangtags and printed materials using the old efficiency numbers. The EPA’s move to stop the use of those discredited efficiency numbers was welcomed by the Alliance for Green heat and many state agencies and industry members. The request is the latest twist in a voluntary program that called into question both the EPA’s credibility to test efficiency and the boiler companies who continued to use the impossibly high numbers. It also gave a significant marketing edge to outdoor boilers who could claim far higher efficiencies than wood and pellet stoves and automated European boilers. Outdoor boilers tested under the previous EPA approved test method were reporting efficiencies of up to 97%. The EPA removed the efficiency numbers from their website in 2011 and requested manufacturers to stop using them. Manufacturers reportedly balked, saying they wouldn’t stop using the high efficiency numbers until their competitors stopped. Today, it is unclear how efficient Phase 2 outdoor boilers actually are. According to a paper from Intertek, one of the leading wood stove test labs: “With the exception of a number of test reports indicating impossibly high efficiencies, the weighted average efficiencies of appliances meeting EPA Phase II emissions limits average 55%.” The State of Maine gives an estimate of 65% efficient to Phase 2 outdoor boilers on its fuel calculator and 55% for unqualified boilers. On May 9, 2013, the Alliance for Green Heat and the Biomass Thermal Energy Council (BTEC) co-hosted a webinar with the EPA on how the new wood heater New Source Performance Standards (NSPS), which may be promulgated as early as 2014, may encourage or discourage innovation in wood and pellet stoves and boilers. The EPA's Gil Wood, Project Lead of the NSPS, provided an explanation of the new wood heater NSPS and answered attendee questions that had been requested in advance. This webinar was held in the lead up to the Wood Stove Design Challenge, a national competition to promote extremely clean, efficient, innovative and affordable cordwood technology. The complete recording is below and the slides are available for viewing here. Presentation by Gil Wood: 7:54 - 46:33. Q&A Session: 46:33 - 1:33:00. Distributed energy generation refers to on-site, locally produced energy versus the distant and centralized generation of energy that has dominated our country. 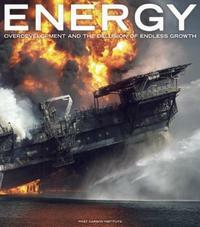 Sheila and Bill Powers, renewable energy experts and activists argue why residential solar and biomass should be the centerpiece of U.S. energy policy, not centralized facilities owned by corporations such as nuclear, gas and coal fired plants or massive solar or wind farms. “Distributed generation most commonly involves solar photovoltaics (PV), but can also include small hydroelectric, small-scale biomass facilities and micro-wind. There are several advantages to distributed generation when good policies are implemented. Foremost is that the bulk of the economic benefits of widely distributed, locally produced clean energy can go directly to rate-payer generators and property owners through mechanisms such as the feed-in tariff, a generous per-kilowatt-hour payment made to ratepayers who generate clean power on their homes and businesses. “Remote, centralized power production and its associated transmission are substantially more vulnerable to major electrical shutdowns from earthquakes, hurricanes, fires, wind, ice, human error, cyber attack or terrorism than distributed generation. Sheila Powers is a citizen activist with solardoneright.org. For several years she has been researching the economic, political and legal biases that promote industrial-scale energy development while artificially impeding the growth of environmentally sound distributed generation. Bill Powers is the principal of Powers Engineering, an air-quality consulting engineering firm established in 1994. The above quotes are taken from a longer essay which appeared in the book “Energy: Overdevelopment and the Delusion of Endless Growth” by the Post Carbon Institute, http://www.postcarbon.org/article/1575982-the-coming-crash-our-addiction-to. The Board of Directors of the Alliance for Green Heat is seeking nominations for additional Board members who can help raise funds, connect with key constituency groups and provide guidance to the organization. The Alliance for Green Heat was founded in 2009 as an independent 501c3 non-profit organization promoting cleaner and more efficient residential wood and pellet heating. The Alliance focuses on the interests of consumers, low-income populations and communities that experience high levels of wood smoke. Our 2013 flagship program is the Wood Stove Design Challenge, a technology competition modeled after the DOE's Solar Decathlon that promotes, showcases and tests innovative technologies that may lead to cleaner and more efficient wood heating. The Alliance has a budget of $170,000 in 2013, a full-time staff of 2 and a five member Board. Nominations should include a short statement about the candidate's qualifications and sent to info@forgreenheat.org by Friday, June 28.